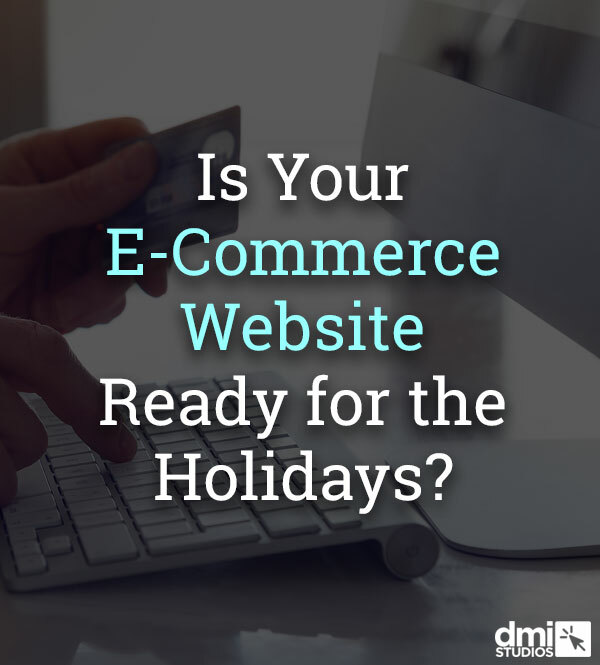 Is Your E-Commerce Ready for the Holidays? The holidays are right around the corner. How does your e-commerce site rank against your competition? Whether your holiday sales strategy is set in place, or you are still working through some adjustments, we have five components to include to ensure your season is a success. Is your website Responsive, or mobile friendly? If not, now is definitely the time to make the conversion. This year, and going forward, the majority of online sales will come from mobile devices. If your website requires pinching and zooming, your customers will abandon your site for a competitor who offers a better user experience on phones. Not to mention, responsive websites receive preference in search engine rankings. Don't miss out on valuable sales because your online shopping experience is not convenient across devices, or because Google penalizes your site for not being mobile-friendly. Let's face it. As a human population, our attention span has diminished to mere seconds. If your website takes too long to load, visitors aren't going to stay around to wait for it. What are some ways to speed up your load time? Make sure your images are the correct size. If they are too large, they will drag down the website's speed. Implement Google Accelerated Mobile Pages (AMP). "AMP makes web pages fast, and fast pages help with purchase conversions." Although AMP is not yet a requirement for websites, Google is starting to place a lot of focus on this feature. Sure, your customers (or potential customers) can easily find you by searching your company or brand's name. But can they find you by searching for your products? If the answer is no, there are some steps you can take to improve your search presence, to ensure you are also found through searches of non-branded terms. Update your website content. Peruse your site, and take some time to pepper in additional keywords throughout your site (but be sure not to keyword stuff!). This is also a good time to beef up your content, especially on your homepage. Make sure everything is current and relevant, and provides the end-user the information they are looking for. Revisit your meta tags. Have you taken a look at your website's meta tags in a while? Now is an opportunity to update existing metas, and to add new ones. Make sure your meta descriptions have strong keywords, and your keywords are all still relevant. Don't forget about location-based modifiers within your keywords if you have a local, brick and mortar shop. Do your inside pages have their own meta tags added? If the answer is no, this could be affecting your search rankings. When your website only has meta tags in place for the home page, all other pages pull from the same meta title and description. Google sees this as duplicate content, which can, and eventually will, lead to penalties. 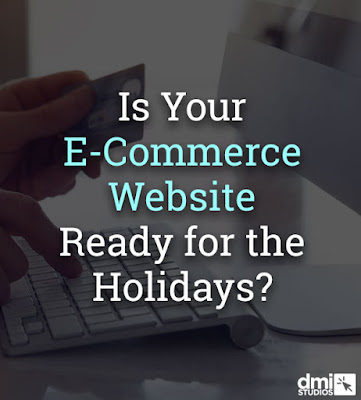 As an e-commerce company, one of your biggest focuses is advertising your products, especially during the holiday shopping season. Do you advertise through Pay Per Click (PPC) methods? Whether you have a large digital advertising budget, or a smaller one, PPC is something to consider to boost online sales and to reach new customers. If you're already advertising with PPC, what does your strategy look like? Do you have your budget set in place? If not, now is the time to develop your budget and have it approved. Are you creating new ads or are they already set in stone? You will want to create ads that are holiday and sales focused to attract the most shoppers. Don't forget to set up A/B testing! Google has recently launched Expanded Text Ads through Adwords. You now have the opportunity to write ads with two headline fields (up to 30 characters), and an expanded description field (up to 80 characters). This gives you much more room to play with ad content. Do your ads and their corresponding pages' content mesh well? If not, now is the time to either update page content to make sure the ads fit, or re-write your ads. By now, we all know how crucial social media is for businesses of all sizes. If you're selling products online, you should absolutely be taking advantage of the accessibility of social media. The holiday season is a great time to not only promote your products through social media, but to also keep your customers engaged, and informed. Share your promotions and sales through all of your social accounts. People will be looking specifically for deals throughout the remaining months of the year. Offer contests and giveaways for new or best-selling products to keep your customers excited. Ask them to Retweet, share, or tag a friend to expand your exposure. Highlight new or featured products with great visual content - videos are even better than still images. Let your customers know what's great about new products, and share with prospects why your brand stands out from your competition. Are you taking advantage of social advertising? Make sure to set aside some of your advertising budget for social media. Determine whether you will be promoting your page, CTA, or website through page ads, or if you will be promoting your content through sponsored posts. Who is your target audience and/or demographic? This is important to make sure you are reaching the right people for your brand. If you need help getting your e-commerce strategy top notch for the busiest sales season of the year, we would love to be your guide. Contact us to set up a time to talk. Website statistics, online marketing campaigns, tweets, hang-outs and followers all tell a story; the story of your customer. What they like, what they don't, what they respond to and what they ignore--it's all there. With all of the data from these efforts residing in different places, how can you, as an online retailer, see the big picture? Retail Intelligence is the answer. Retail Intelligence is the science of knowing all about your customer. Retail Intelligence is the process of working with your web team to integrate tracking information throughout your efforts. Whether it's a post on Facebook, a share on twitter or a campaign on Google, your efforts can be measured. Each time a potential customer clicks on your link, you can see which pages they view, for how long and whether they completed the checkout process or not. 1. Which efforts are working? No business can afford to spend time or money on marketing efforts that have no ROI. By taking a comprehensive view of each effort, you'll know which are worth your time and which you should dump. Maybe you have a rock star product that many customers purchase alongside another product. How about setting up a follow up email to suggest it? Maybe a customer placed items in their cart but left before completing the checkout process. An email reminder a few days later might just be the prompting they need to complete their order. These are just a few of the options for increasing sales and your customer's happiness. Excellent customer service is becoming a new equalizer in online retail. Those sites that have it, will succeed. Those that don't will be lost along the way. By bringing together the data from the varied sources of your efforts, you'll begin to see the story of your customer. Is he frustrated or happy with your website, products and services? Or, is there room to improve? Armed with the story of your customer, you'll be better able to create an intelligent vision for fine tuning your operations. Retail Intelligence is a comprehensive information gathering process. If it's something you feel your online business could benefit from, we'd love to mine the data for you. Contact us to learn more! If your website was a gourmet hamburger, branding would be all of the deliciousness that goes along with it: pickles, tomato, onion, cheese, lettuce, bacon (!) and a toasty bun. The elements are not too much and not too little, and memorable enough to keep customers coming back bite after bite. A burger lacking these elements is like a bad memory. The same with your website. The logo, color scheme, tone of voice, imagery and emotion of your brand need to be incorporated on your site. The problem many clients run into is either, 1) they have very little offline branding and don't know the elements of their brand or, 2) the prior web designer neglected to incorporate these important elements and their site is underperforming. Why are these branding elements important? let your audience know they're on the right website. create continuity between your offline, real life efforts and your web presence. build trust in your brand. Okay, these elements are important. I can see you get that. Though I must caution you from the brink of using too much branding on your site. Note that branding is the accompaniment but you can't forget the beef! 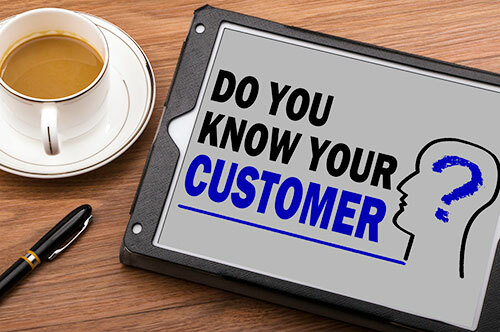 Customers are coming to your site to learn more about you, experience your brand and/or buy your product. A great website helps to build KLT (know, like, trust). Remember, branding is the too-good-to-pass-up deliciousness that makes your website unique--your audience appreciates all of those elements, but they came for the beef! You're proud of your logo. It's the culmination of blood, sweat, tears and a few hundred (maybe thousand) bucks. We get that. Your customers value your logo as well. But not in the center-of-the-page, no other information is provided kind of a way. It's more of a 2.5" x 2.5" kind of way. There are a number of best practices for your logo's placement on your website. Typically, logos are in the upper-left corner of each page. Web users know to look there for a logo, and the goal is to build trust in your website. So, put it in the upper-left; no need to get fancy. The logo should be click-able back to your homepage--another web standard. And, the logo should be big enough to be noticed within the first few seconds a user is on your website. You only have a precious few seconds to grab their attention and allow them to trust your site. Don't blow it! Remember: Your logo is like the secret sauce. Important and tangy, but way-too-much and it's overbearing. We've all been there. Don't be that guy! Pickles, lettuce, tomatoes, bacon, cheese, tomato...we could go on and on about a great gourmet burger (we're from Wisconsin after all). Just like this delectable delight, your website should incorporate all of the elements of your brand--or you may have angry (or confused) customers. Tone of voice, color scheme, imagery and feel are all important elements of your brand. A great website will incorporate each of them in addition to a hearty helping of meat (read: important content). Alright, that statement may have gone a bit too far. But your website *is* like a great burger. Your site should incorporate all of the tasty elements of your brand--logo, color scheme, tone of voice, imagery and emotion, without forgetting the meaty parts. Customers are hungry to learn more about your brand. Don't disappoint them! If you're lost on the way to a gourmet website, we have affectionados that would be happy to help. Would you like a free website review? We'd be happy to oblige you! Cyber Monday - Is It For Real? "Cyber Monday" was appropriately coined in 2005 by a Shop.org press release that year. 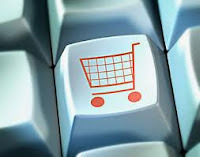 Their research indicated a major swing in online sales on the Monday's following Thanksgiving. Increasing access to high-speed internet, the need to shop online while kids are asleep, and the need to complete unfinished holiday shopping are reasons sighted for the Cyber Monday madness. 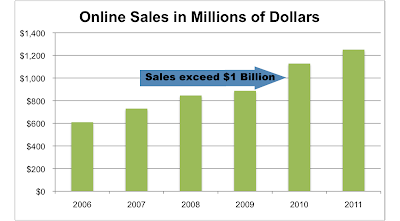 In response, online retailers took note of the trend and created specific sales and promotions beginning in 2005. Is Cyber Monday really the biggest online shopping day of the year? According to comScore, since they began tracking e-commerce activity in 2001, consumers spent $1.028 Billion online on Cyber Monday 2010, making it the biggest spending day of the year. Prior to that, Cyber Monday was not the biggest sales-day of the year. Cyber Monday still only represents a small portion of total holiday sales (online and traditional), however the importance of the sale day is increasing each year. It's beginnings were humble (and mostly hype), however Cyber Monday 2011 was the highest online sales day on record! The latest tech trend is the increasing use of mobile devices for online shopping. The most common platform for mobile browsing is the iPhone. Practical Ecommerce notes Black Friday mobile browsing was higher than Cyber Monday browsing, probably because most people were away from their work computers. The number of consumers using mobile devices for shopping is increasing rapidly. Many shoppers are doing so from their work computers. For even more Cyber Monday info, check out Information Experts Infographic. Are you planning to head out on Black Friday? Click here for more Blog Posts. DMI Studios works with clients from all over the United States including those from Wisconsin (Green Bay, Appleton, Oshkosh, Oconto, Marinette, Milwaukee, Madison, La Crosse, Eau Claire, Stevens Point, and beyond), Arizona, Connecticut, Florida, Michigan, Minnesota, New Jersey, and Oregon.